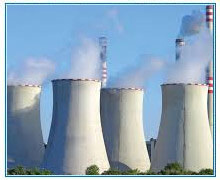 Refineries, Petrochemicals and Environment & Safety Aspects. Petroleum gas - Petroleum gas is used for heating, cooking and making plastics. Naphtha -It is the intermediate that will be further processed to make gasoline. Gasoline - Used as fuel in most motor vehicles. Residuals (coke, asphalt, tar, waxes)- starting material for making other products. Petroleum Engineers and factory technicians are involved in separating crude oil into various components (called fractions), using the differences in boiling temperature. This process is called fractional distillation. Chemical Engineers use newer techniques of Chemical processing on some of the fractions to make others, in a process called conversion. Chemical processing, for example, can break longer chains into shorter ones. This allows a refinery to turn diesel fuel into gasoline depending on the demand for gasoline. The products are stored and managed on-site by the Facilities Engineer Lead , Reservoir Engineer and other workmen until they can be delivered to various markets such as gas stations, airports and chemical plants. In addition to making the oil-based products, refineries must also treat the wastes involved in the processes to minimize air and water pollution taken care of by the Pollution control engineer, waste management professionals and health and safety engineers. Indian colleges and institutions take these waste and environmental issues into consideration when structuring the technical courses and hence there are numerous Environmental Studies students and professionals in the country now who are looking for broader horizons to utilize their knowledge. The process of producing final petroleum products from crude oil is carried out in refineries. Petrochemicals are a group of chemicals derived from the processing of petroleum gas. They are manufactured from the gaseous hydrocarbons produced during the cracking processes of manufacturing Gasoline. The control of pollution and safeguard of lives and property from damage and losses comes under the purview of Environment and safety. Effective scouting teams working to source fresh talent from the best colleges and institutes. Trusted network of professionals, placed by us providing us references of the best talents in the industry. Using these advantages as a leveraging factor to explore our resources, we strive to offer cost effective solutions in staffing for our clients. Our strong network and experience enables us to bring the best talents in the industry to our clients who require competent manpower having specific skills sets in the Oil and gas Industry.